The Dressage Foundation (TDF) has announced the Officers and members of the Board of Directors who will serve in 2015. In addition to the returning Board Members, TDF extends a special welcome to new Board Members Catherine Chamberlain and Sarah Geikie. 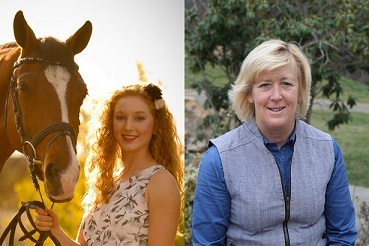 "Both Catherine and Sarah are extraordinary leaders in this country’s dressage community! We’re honored and excited to have them both on the TDF team," said Beth Baumert, President & CEO. Barbara Cadwell (FL), Joseph Carr (KY), Ralph F. Dreitzler III (WA), Lendon Gray (NY), Hilda Gurney (CA), Carol Lavell (NC, FL), Michael Matson (MD), Karin Reid Offield (MI), John Boomer (NE, Director Emeritus), General Jonathan Burton (AZ, Director Emeritus). "TDF exists to help committed riders, trainers, judges and breeders with one of the toughest parts of our sport--finances. The mission of TDF is to fundamentally 'up the bar' of dressage in the United States,” Baumert said. “To that end, TDF donates about $200,000 annually to deserving individuals at all levels of the sport: from young riders to adult amateurs, judges, instructor- trainers, breeders and high performance riders. The entire dressage community can thank TDF donors for making these grants possible. Without donors--large and small--TDF wouldn't exist. Every gift is important to TDF, and the goal for 2015 is to enlarge the TDF family of friends so we can do even more."